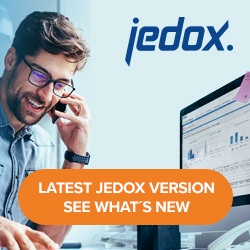 On Windows systems, the service JedoxSuiteMolapService represents the Jedox In-Memory DB Server. The startup behavior of the Jedox In-Memory DB Server implements delay loading: the In-Memory DB Server will first load the system database, config database, and all databases of type “user info” (Internal Meta Data) at startup. After these databases are loaded, the In-Memory DB Server will listen to incoming requests, and then proceeds to load all normal databases. These databases will be available to users after load of each individual database has finished. Display a custom logon page or MOTD message that performs a status check on the database(s) and relays that information to the users before they attempt to logon. The state of the server regarding delay load is accessible via /server/info or /server/palo_server_info API method. Stop Apache until delay loading is finished. After completion of installation you will find this service under Start – Control Panel – Administrative Tools – Services. By default, it will be automatically started when the machine is started. In the Windows Task Manager, you can start and stop JedoxSuiteMolapService (Jedox In-Memory DB Server). Note: for Jedox Web, the service JedoxSuiteTomcatService depends on JedoxSuiteMolapService. When a PC/server is shut down or rebooted, Windows only allows a limited amount of time for services to stop. Since Jedox In-Memory DB does file system commit on service stop, and this commit may take longer for the large amount of (changed) data, the time granted by Windows may not be enough. For this reason, it is highly recommended to manually stop the In-Memory DB server service before shutting down or rebooting the machine, especially if larger amounts of data were changed (e.g. large Jedox Integrator [ETL] loads).